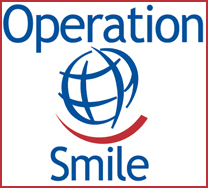 We received this thank you and a brief history from William Magee (their founder), from Operation Smile after we sent them one of our couples wedding favor donation. We hope more couples become aware of the wonderful work of the inspiring service they provide for needy children around the world. Visit their website and check it out. “My wife Kathy and I are deeply grateful that Truffles for a Cause has reached out to help give a beautiful smile to a hurting child. We hope you’ll experience again and again the great joy that comes from knowing you’ve change a child’s life forever. Let me tell you how it all started. In 1982, Kathy and I went to the Philippines to provide surgeries for children born with cleft lip and cleft palate. About 300 girls and boys came for surgery and we could help only 40 of them. It was heart-wrenching to turn the others away. So we recruited a group of friends to go back and take care of those precious kids.